During the outdoor season, the Redbirds use the Redbird Track and Field Complex. The outdoor track is eight lanes wide and 400-meters long. Illinois State hosted the 2010 State Farm Missouri Valley Conference Outdoor Track & Field Championships. 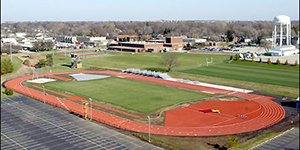 Illinois State’s outdoor track and field facilities were renovated in the summer of 2003, as the school continued to upgrade several areas of the athletics department for competition in the 21st century. With the renovations of the Kaufman Football Building, the North Gym in Horton Field House, and the outdoor track, Illinois State has continued its commitment to building first-class facilities for its coaches and student-athletes.